Are you ready to for your 15 minutes of glory? It’s your turn to claim your fame and fortune! Face the judges, get ready to shine in your audition and go all the way from boot camp to the live finals. The X Factor game Online is one of the most exciting themed slots online. The slot game takes you through the precise story line that the show does: auditions, boot camp, judges, live finals, and it’s all happening in this brilliant online slot game. If you are looking for the best x factor games to play online, trust us, you won’t want to miss this 5 reel, 20 lines X Factor Game. The combination of the graphics, music and the show elements creates a one of a kind slot experience that will put a big smile on your face, but you don’t have to take our word for it, check out yourself why this online slot took the UK by storm: click the play button to play the exciting X factor game online. X Factor fans can have ago at slot game and play as long as they wish using 1000 fun credits, and practice until they feel ready switch to the real game. 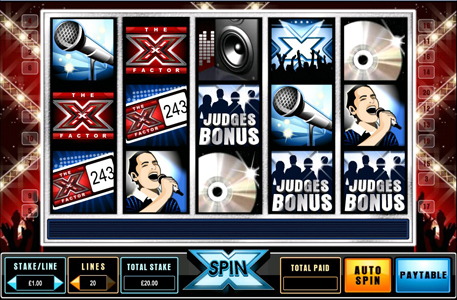 To start playing the X factor slot game, simply choose the play for Fun/ Demo at the opening screen. Be sure you have available funds in your account, you can bet a minimum of 5p and a max of £25 per line and anything from 1 to all 20 pay lines. JUDGES BONUS- Land three or more Judges Bonus symbols anywhere on the reels to trigger this exciting bonus. The more judges you land, the bigger your reward will be. Land three or more Boot Camp bonus symbols on a single line to trigger this bonus and go directly into the Boot Camp Bonus round. The Boot Camp bonus is a free spins round that are awarded based on the number of symbols you’ve landed. Land 10 stars in the boot camp round to advance to the final round bonus where the payout significantly increases. 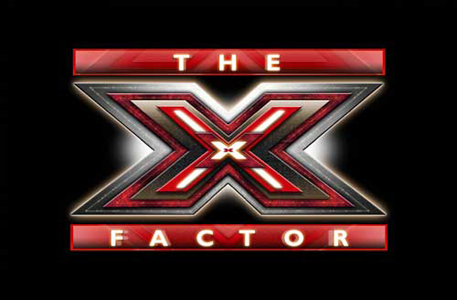 Playing the X Factor Games are a another great way of enjoying the show, the shows fans and slots fans will love it.